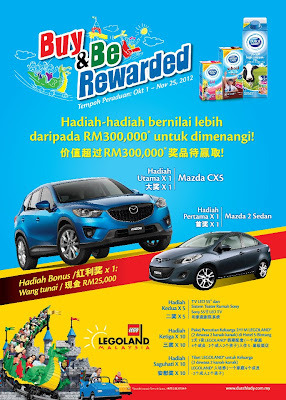 Mail entry forms via normal mail to Dutch Lady Buy & Be Rewarded Contest, Peti Surat 3203, 47507 Subang Jaya, Selangor Darul Ehsan. Get paid to share the latest movies, games, events, products, and contests with your friends! Join now & get RM5 immediate signup bonus now!